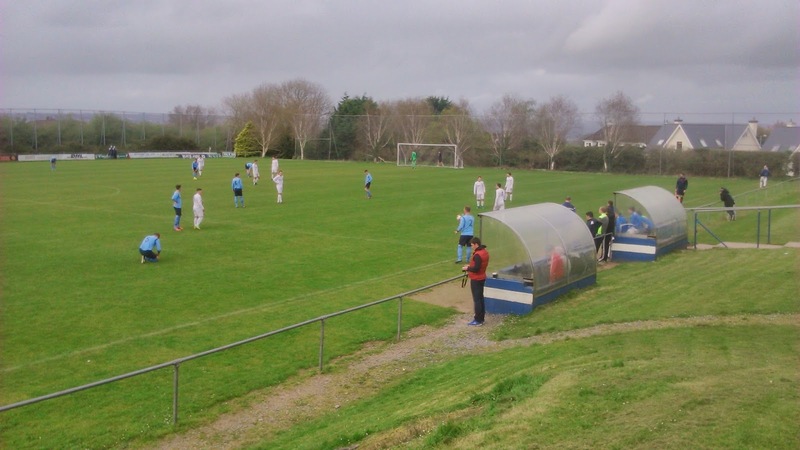 The eagerly awaited family holiday to Cork was not something I was going to let pass me by when it came to football, but it didn't prove to be that simple. 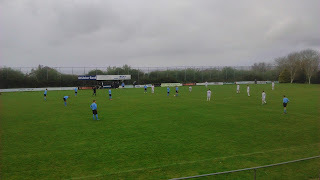 This was going to be our third trip to the Rebel County in recent years, and to be fair, on past visits I've been able to get my fix with trips to the like of Cork City and Cobh Ramblers, but this time round neither were playing at home during the seven night stay, so I had to think a bit broader about what to do. The Munster Senior League sits below the League of Ireland, with many of it's top clubs having proud histories, both in terms of league honours, Cup runs and indeed producing players that have gone on to play at the highest level, Roy Keane being a great example. The fixtures tend to arrive by weekly tranches though, so it wasn't until a few days prior to flying that I had any idea who was at home, but on the basis the vast majority of clubs are in the Cork area, once I'd got the details nothing was going to be out of reach given we had a car. The original plan suited me perfectly, University College Cork were at home to Cobh Wanderers on the Tuesday night, but on Monday afternoon I spotted it had been postponed which was a shame as the Mardyke ground was one I really wanted to go to, and it was only a ten minute walk from our hotel! 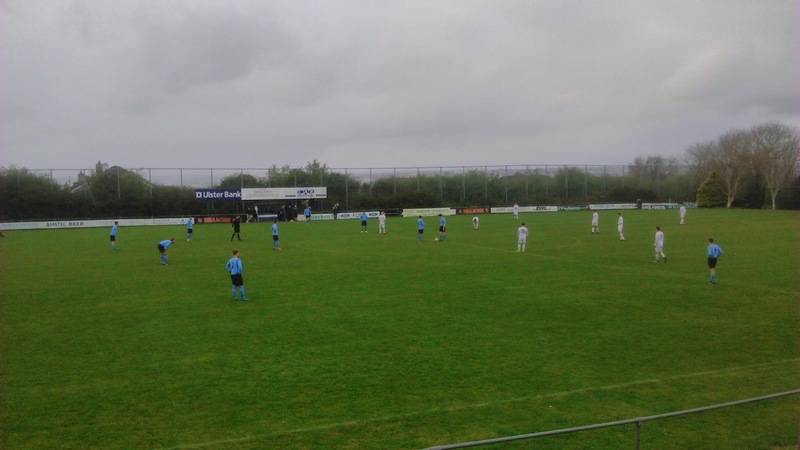 Nothing else was happening on the Tuesday so I decided to switch my attentions to Wednesday, and it was then that I spotted College Corinthians were at home. The other problem with the league is that the name of the club doesn't always give much away in terms of locations. College Corinthians is an example of this, so I had to dig around a little to find out a bit about them. They sat second in the league behind UCC, which is bizarre because it turns out that the Corinthians are the club for former students of UCC, so academia is certainly turning out good footballers it appears. I also found out that they played on the very Southern edge of Cork, to the East of the airport and from where we were staying, a twenty minute drive. Getting to the wonderfully named Castletreasure ground proved slightly trickier than I expected. Heavy traffic on the South Ring reduced things to crawling pace, and then once down the slip road towards the Douglas Shopping Centre, the queues to get round the roundabout and through the lights were not great. However, once negotiated it was a straightforward uphill climb to the ground. 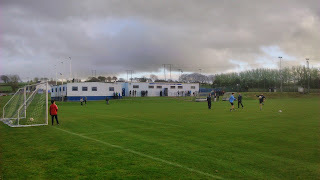 Sat high up overlooking the City, the ground comprised of an artificial pitch that was being used by the junior sides, a training pitch, and the main pitch to the bottom of the complex. A dressing room building and a club room were the focal point but in terms of refreshments it was a van outside doing warm drinks and chocolate. 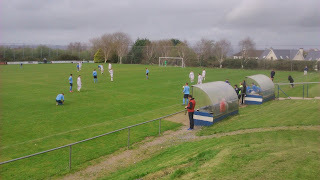 A crowd of around 40 assembled to watch mid-table Avondale United thwart the hosts at every juncture. Corinthians looked the sharper of the two teams but lacked a cutting edge in the final third of the field, 0-0 did look a good bet early on in the game and to be fair came as no surprise. That said, it was a very entertaining game, and always held the attention. Avondale will probably be the happier of the two sides with a point, while the Corinthians will probably feel somewhat frustrated. 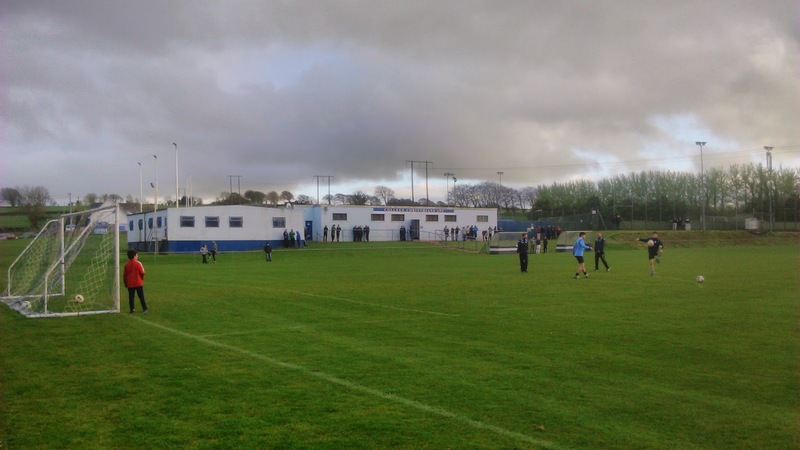 The standard impressed me, Munster Senior League sides have caused the odd upset in the FAI Cup against League of Ireland teams, and you could see why. The journey back was far more straightforward, and as I walked into the bar at the River Lee Hotel in Cork, a pint was waiting for me at the table. Life doesn't get much better does it?